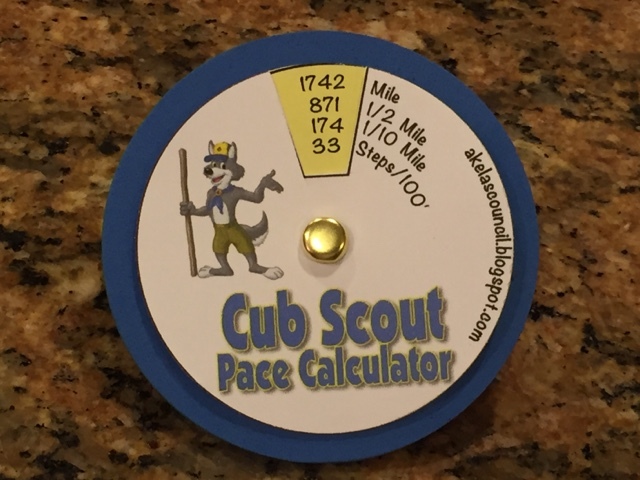 These are fun Pace or Stride Calculators to show how far the boys have traveled. Measure a course that is 100' and have the boys count how many normal steps it takes to go that distance. I made these as neckerchief slides so the boys would not loose them. These will print 12 per page and if you have a 2.5 circle punch, you can punch them out instead of cutting them out. What an incredible idea!! I love it!